Kelli Gemmell, ASID, ASRID is a registered interior designer with 22 years of experience in commercial interiors. She graduated from California State University, Long Beach with a BA in Interior Design and has worked in a wide variety of design roles. Her experience includes working as a facility manager for a Fortune 500 company in Long Beach, California, an interior designer and a project manager for a contract dealership. Now at Milestone Construction Company for the past 5 years, Kelli is well rounded and has the benefit of having worked on all sides of the design process. 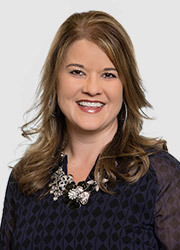 She has been involved with ASID for 16 years, serving at the local level as chairperson and as a board member with the South Central Chapter which includes three states, Arkansas, Louisiana and Mississippi. She also was previously on the board for the Interior Design department at the University of Arkansas.